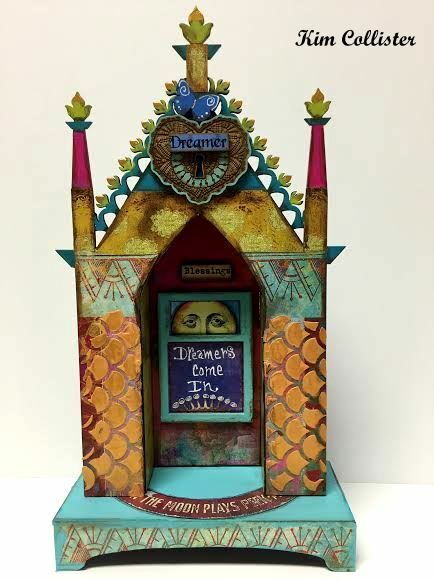 We adore this amazing "Believe" Shadow Box Shrine by Design Team Member Cat Kerr! Absolutely incredible texture and colors! And what a unique way to use the Circle Shrine! 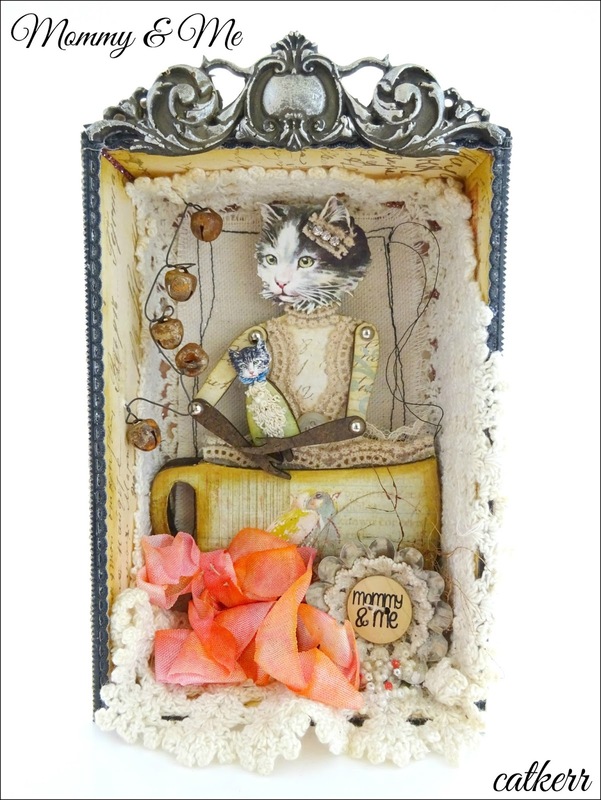 And of course gorgeous Relics and Artifacts by Sandra Evertson! So beautiful Cat! 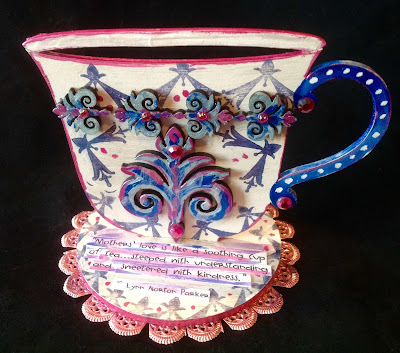 A beautiful "Mother's Love Tea Cup" by Gerri Herbst! 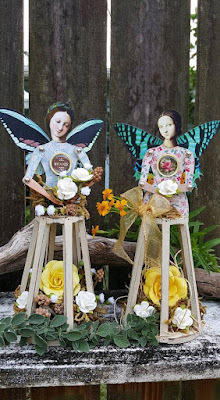 This would be a lovely project for Mother's Day, or any day! So sweet Gerri! In honor of Easter and Spring, here is a sweet little egg project by Kristin Hubick! 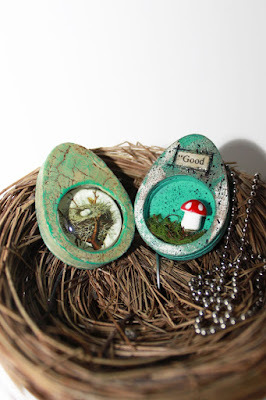 These little eggs are so much fun, and have a perfect 1" circle center. So many possibilities! Happy weekend everyone! We have lots of Brand New Tim Holtz goodies in stock! 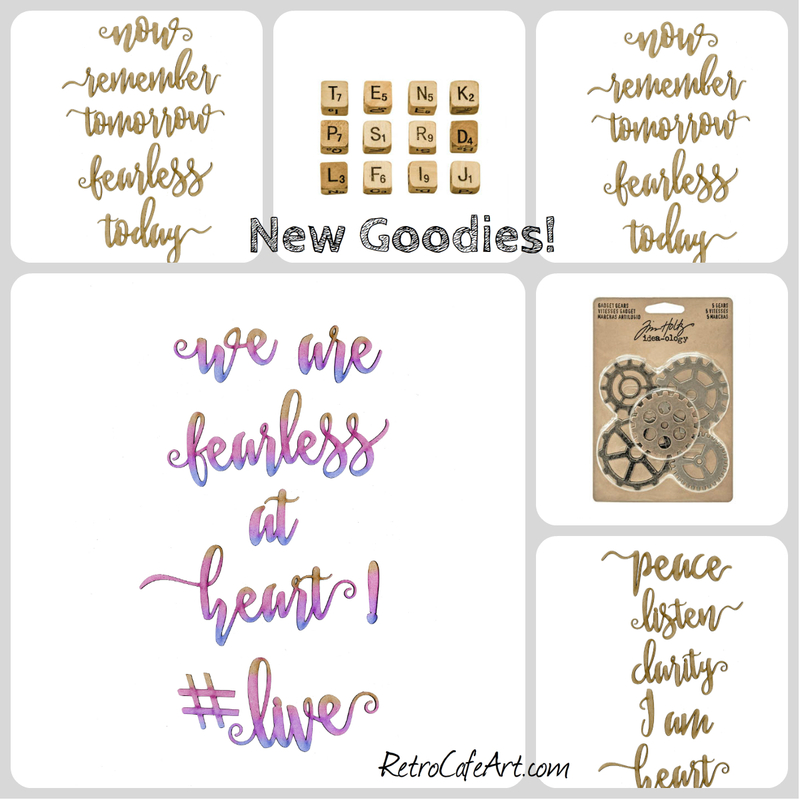 Quote Bands, Alpha Dice, Gadget Gears, Remnant Rubs, and more! oh my! 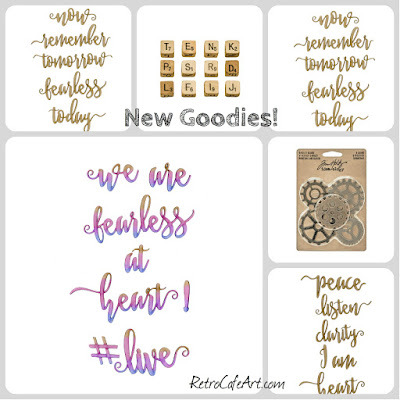 And we have even more new Art Script Words! Set #7 is perfect for making limitless combinations! 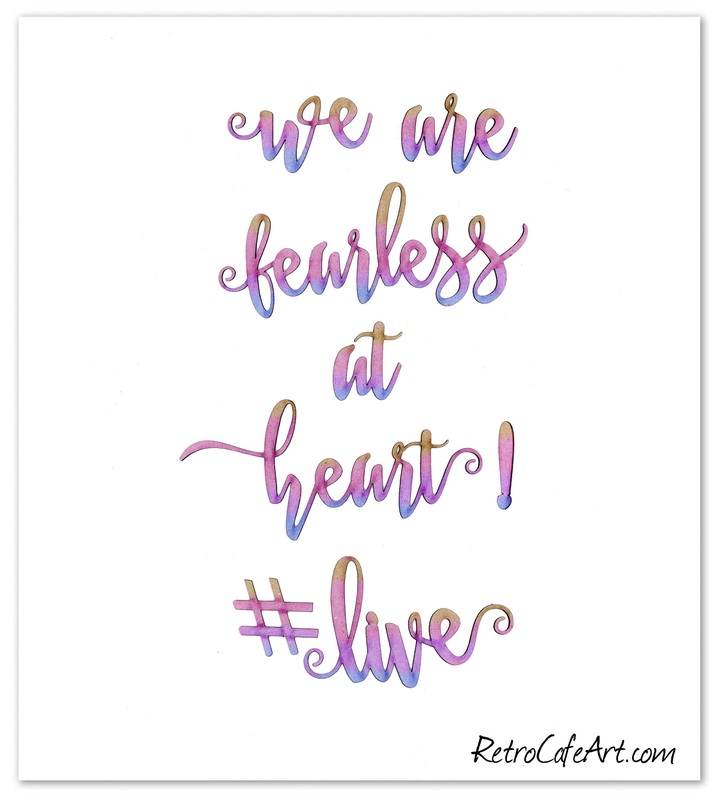 The new Art Script Words look amazing colorized! And just think with a touch of glitter how much they will shine! 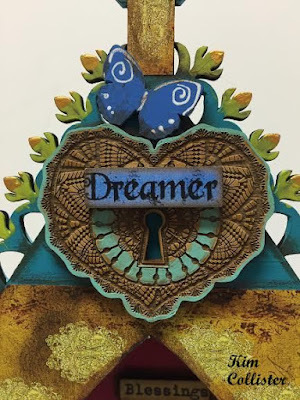 The thinner Stencil Board works are absolutely perfect for art journaling too! This is just one of the many cool process photos. Definitely check out the entire tutorial and let Cat know you stopped by! 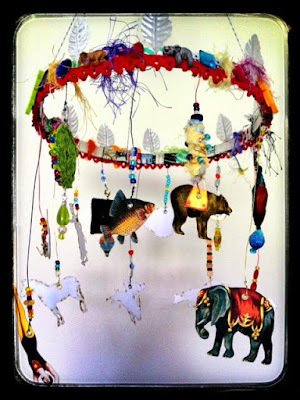 We're loving this cool hanging mobile by Amy Nieman! The base is an embroidery ring, covered with paint, strips of washi tape, fibers, and embellishments. And of course she made great use of our Paper Cuts! So creative Amy! We love this gorgeous necklace created by Sherry Matthews! And the beautiful way she has it on display. Such a wonderful piece Sherry! In honor of the first day of Spring this Sunday, I wanted to share something fitting. 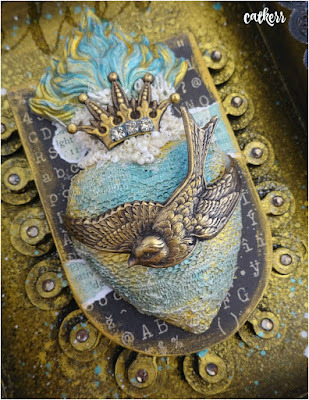 This gorgeous piece from the archives by Gena Boone-Curtis seemed perfect! 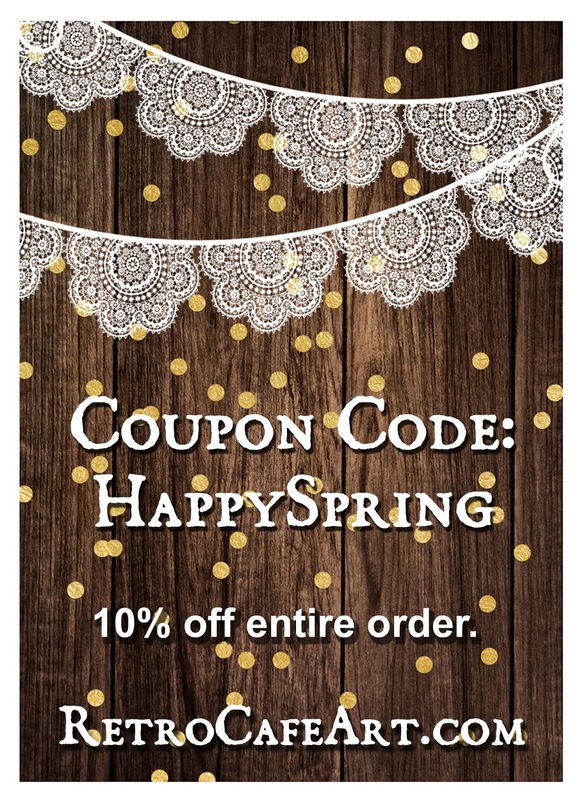 Happy Spring friends!!! Happy weekend everyone! 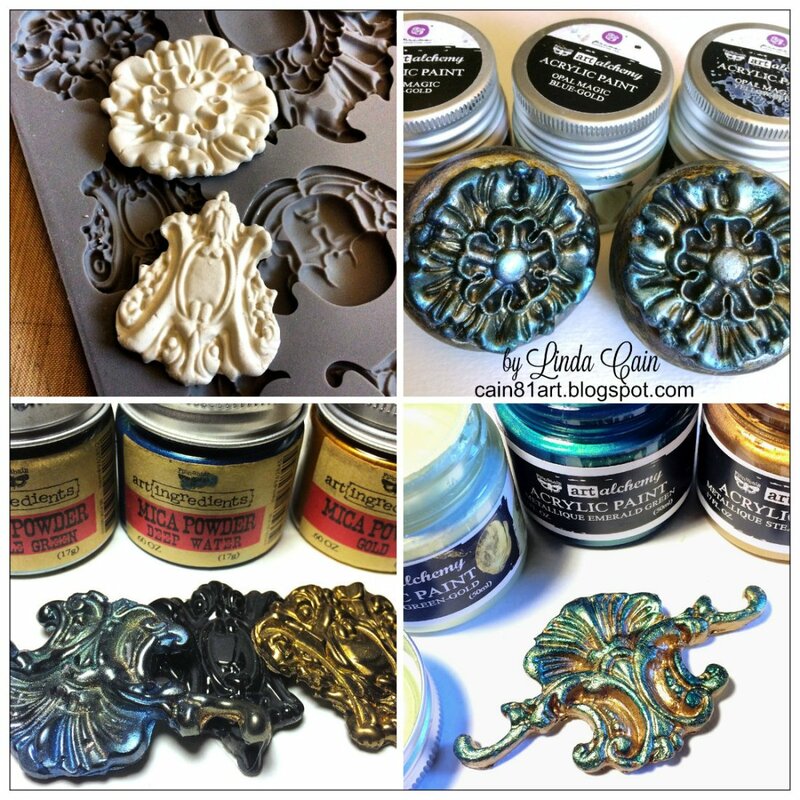 We have lots of Brand New Tim Holtz goodies in stock! 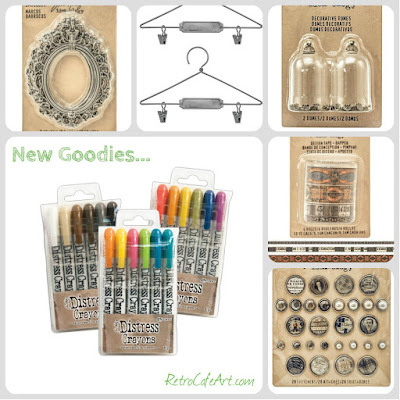 Distress Crayons, Dapper Design Tape, Display Hangers, and so much more! We're loving those cool glass domes too. We also have some stunning Chipboard Script Words in the shop! Check out the Distress Crayon video here. Adorable mini houses by Tracy Delisle! 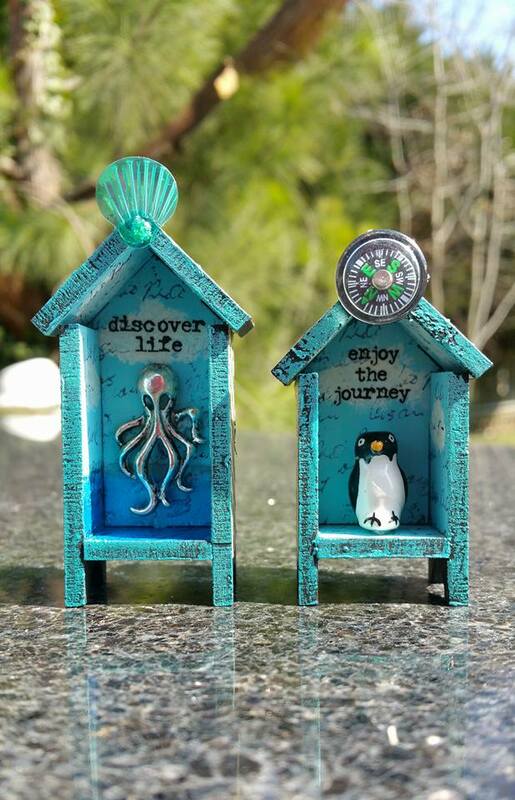 We're loving the bright sea colors and the adorable embellishments. Makes us think of summer, and we're ready. So fabulous Tracy! 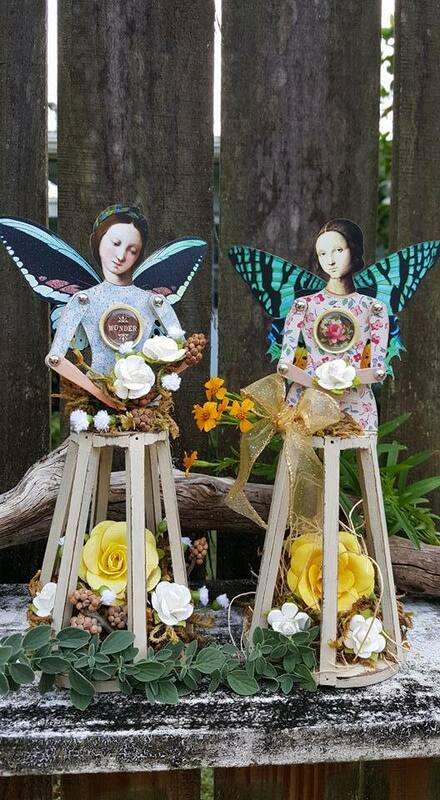 Absolutely stunning Garden Santos Dolls by Jaci Swarts! We're loving the gorgeous floral arrangements she added to the cages. They are so beautiful Jaci! 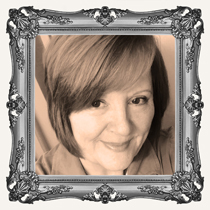 Welcome New Design Team Member Kim Collister! 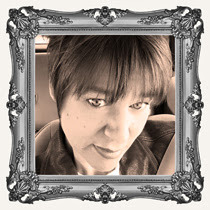 It's my absolute pleasure to welcome the talented Kim Collister to the Retro Cafe Art Gallery Design Team! 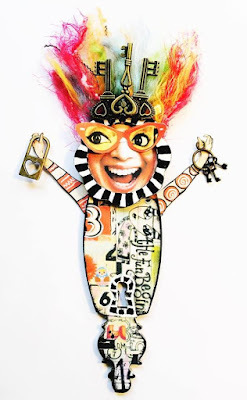 We've shared Kim's fabulous work in the past, so we know you're in for a real treat! We're thrilled to have you Kim! Imagination is the key to my secret garden, my creative way down the rabbit hole, my looking glass. I don't set out to produce art about one subject or the other. My creativity is inspired by a whimsical life, triggers of nature, passages of time and objects of beauty and color. Most often I work from the inside out. Though I work quite intentionally, consciously employing both traditional and innovative techniques, my unconscious is the undisputed project manager. Inspired and invigorated by the world we live in, I remain in awe by the ghosts of the past and the brilliance of the artists whose work immobilizes me to the core. 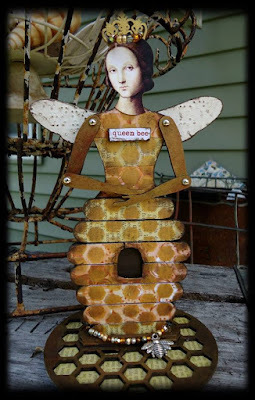 I am a gatherer of beauty and whimsy, nature and found objects, all of which have proven a most amenable vehicle for translating inner vision to outer reality. Working without the fear of perfection frees my imagination and provides many opportunities for happy accidents and grace to influence the finished product. All my life I have been an artist with one foot in and one foot out. 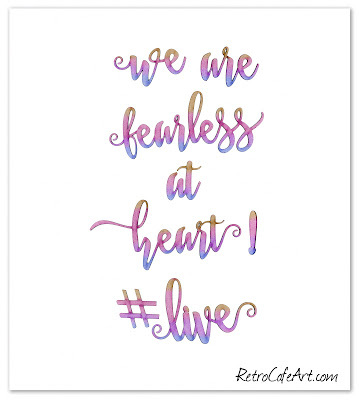 When I began this journey of opening my Etsy shop in 2005 and jumping into the art world with both feet, I totally stepped out on faith. When I saw this quote, I thought it related so well to my blog name... "I fly without wings".. on my horse of faith! "When God created the horse, he said to the magnificent creature; I have made thee like no other. All the treasures on earth lie between thy eyes. Thou shalt carry my friends upon thy back. Thy saddle shall be the seat of prayers to me. And thy shall fly without wings, and conquer without sword, oh horse ..... of faith". 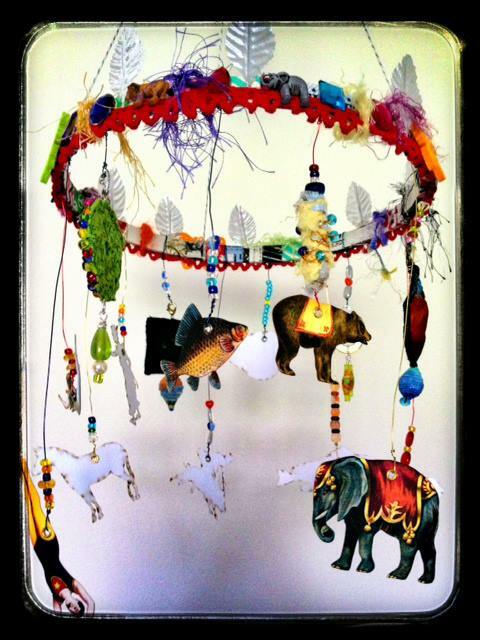 Below is an example of Kim's amazing work. You can find the full post HERE. Welcome New Design Team Member Chrissy Colon! 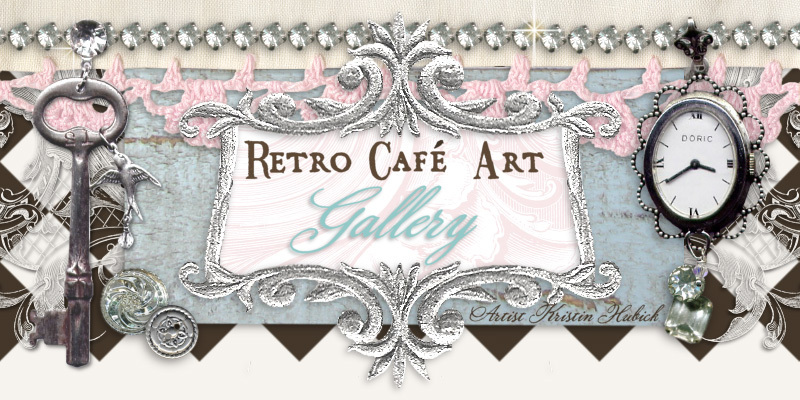 It's also my absolute pleasure to welcome the talented Chrissy Colon to the Retro Cafe Art Gallery Design Team! We've shared many of Chrissy's projects in the past, and we know you're going to love what she creates. We're ecstatic to have you Chrissy! My name is Christina Colon. I currently live in Okinawa, Japan with my husband, four children and two dogs. I have been paper crafting for more than a few years and started out as a traditional layout gal. 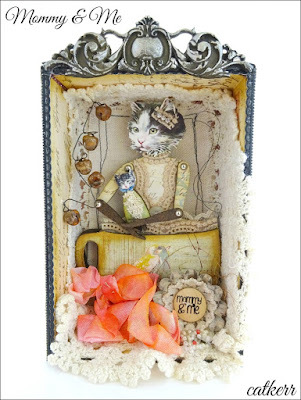 Since then, I have ventured into card making, mini albums, altered art, and other off the page projects. 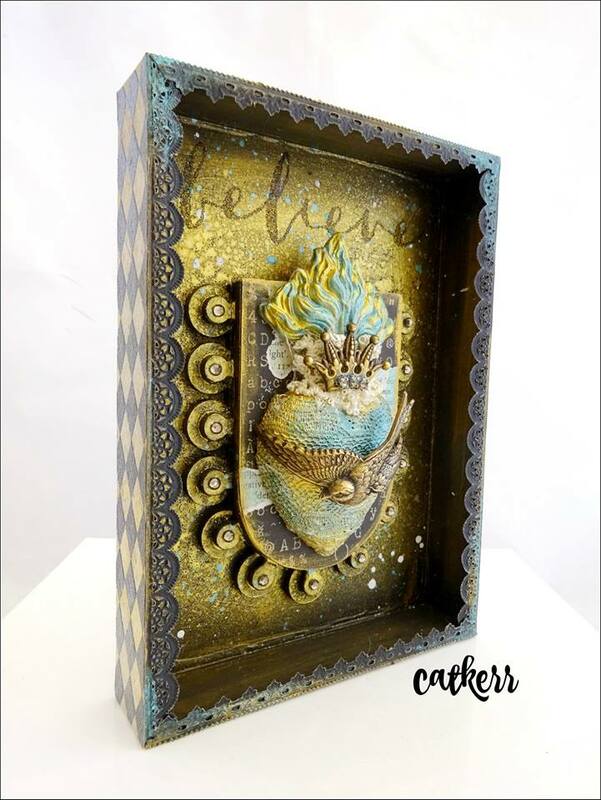 I find that my favorite things to create are mini albums, off the page projects and wreaths, which you will see plenty of. 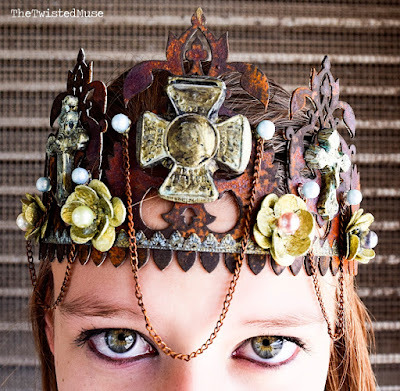 My style can best be described as eclectic, unique and technical with a dash of whimsy and meth (but without the "junky" part). I like to mix traditional with modern and I love to experiment with different color and pattern mixes. 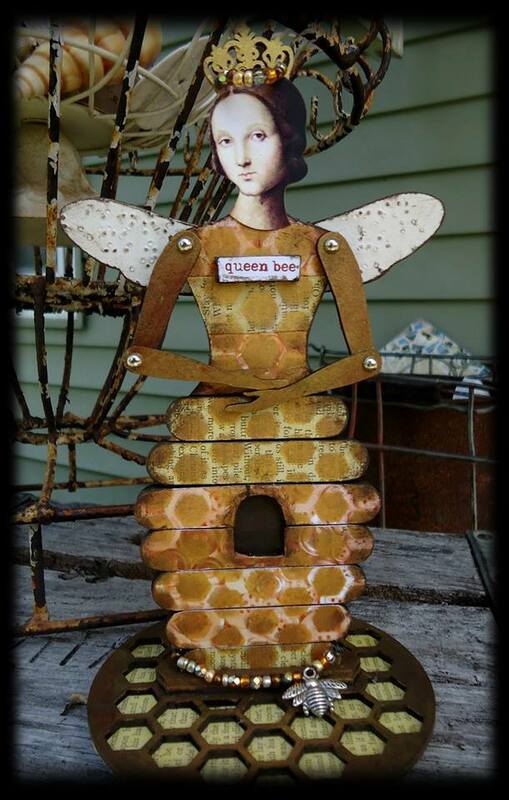 I gather my inspiration from my everyday surroundings. When I'm not sitting at the table working on some kind of project, you can find me at the beach with the kids or SCUBA diving, at the gym doing some Crossfit, or even on my couch indulging in an epic RPG video game. I also love to read, hike, and mess around with the kids. 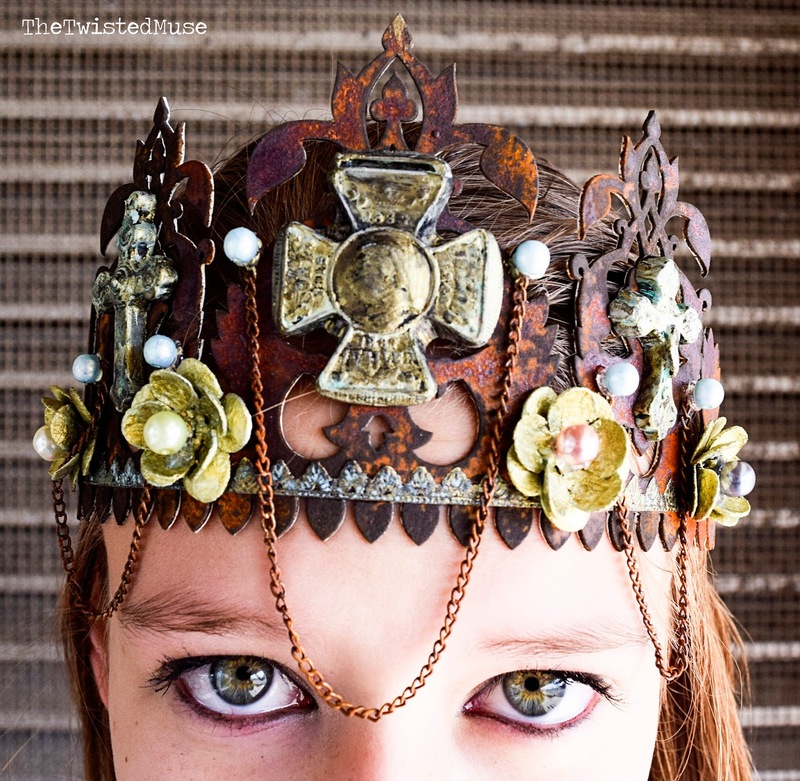 We adore this fabulous Regal Crown by Chrissy. You can find the full post HERE. Happy weekend everyone! 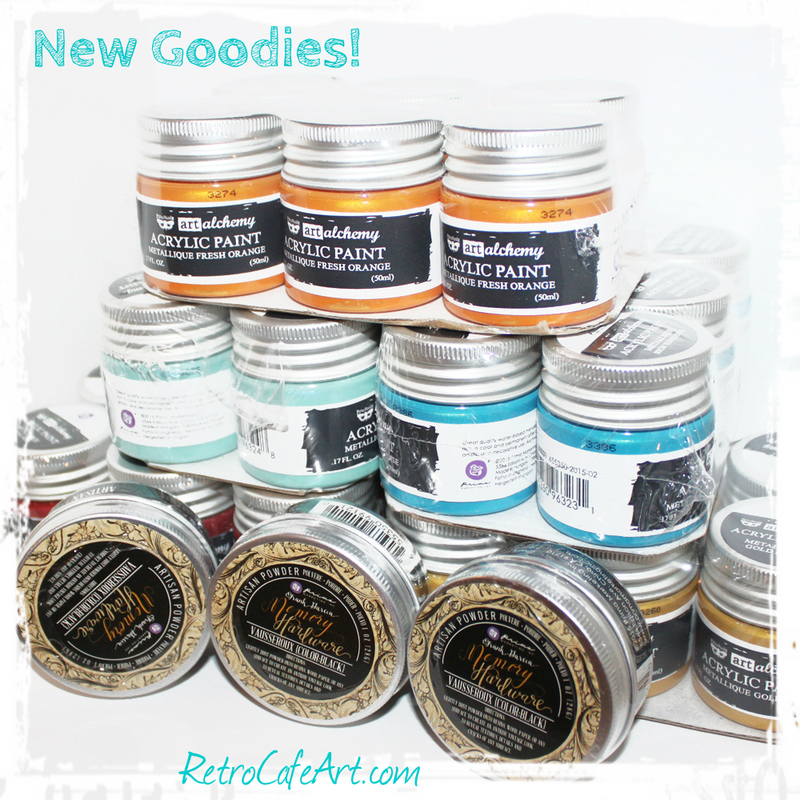 The wonderful new Finnabair Art Alchemy Paints have arrived and the colors are even more stunning in person! Awesome metallic brilliance! We're loving the handy container they come in too. Also, the brand new Memory Hardware Powders are also in stock. You can check out a cool video on how to use this cool new product here. 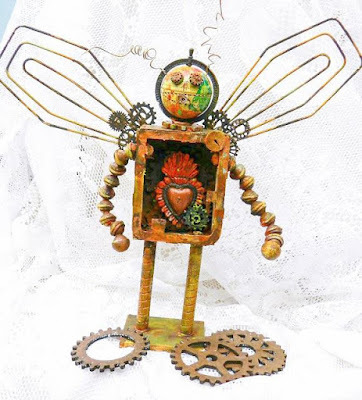 Meet "Herby the Love-bot" by Kristie Taylor! 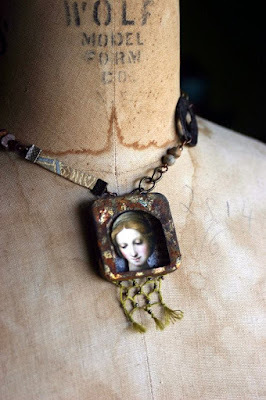 A wonderful combination of supplies and thrift store finds. He's absolutely wonderful Kristie! "Trust me...you do NOT want to unlock my CrAzY!!!" 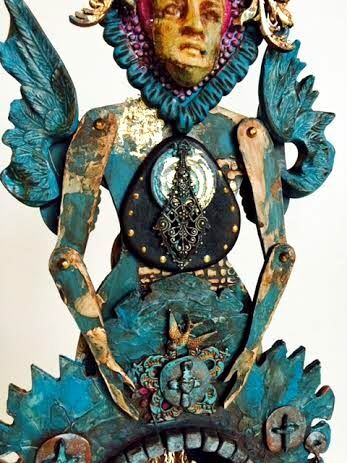 by Monica Downing. Anyone else feel like this?Ha! What a wonderfully wild, awesome piece of art Monica! Just love it! "Just Keep Swimming" by Chrissy Colon! 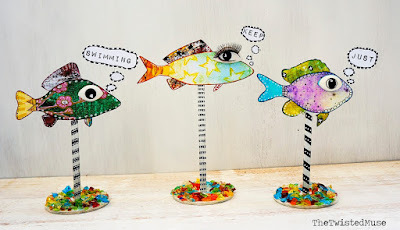 This fabulously funky trio is sure to put a smile on your face. We especially love those eyes! Absolutely delightful Chrissy! Check out Chrissy's Blog for more cool photos, step-outs, and supply links!